New Eudora - Kiss Me Rosa Marcante & Kiss Me Cabernet For Women! Thread: New Eudora - Kiss Me Rosa Marcante & Kiss Me Cabernet For Women! Kiss Me Rosa Marcante by Eudora is a Floral Fruity Gourmand fragrance for women. This is a new fragrance. Kiss Me Rosa Marcante was launched in late 2017. The fragrance features rose and vanilla. 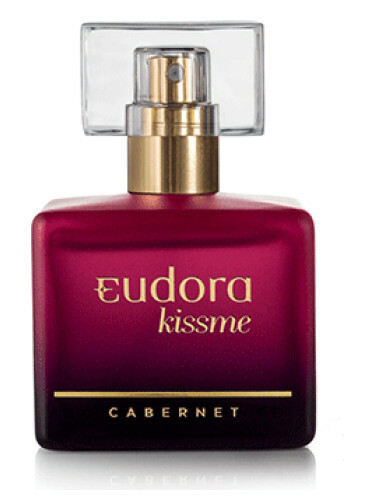 Kiss Me Cabernet by Eudora is a Floral Fruity Gourmand fragrance for women. This is a new fragrance. Kiss Me Cabernet was launched in late 2017. The fragrance features red fruits, fruity notes, floral notes and vanilla. NEW: The Body Shop - Japanese Cherry Blossom Strawberry Kiss For Women! NEW: Elizabeth Arden - Sunflowers Sunlight Kiss For Women!